Pimcore provides a simple interface to the Google Custom Search Engine which makes it easy to integrate a search engine into your website. Create and configure a new search engine at http://www.google.com/cse/ - for more information please visit: http://support.google.com/customsearch/ . Test your search engine first using the preview on the right hand side. Once you are finished go to https://console.developers.google.com/ create a new project, then search for Custom Search API and click on Enable. 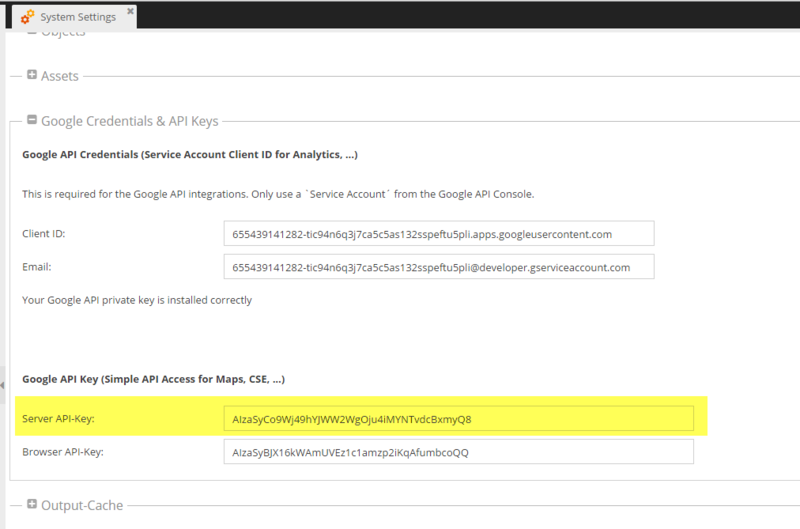 Custom Search API should now be listed under Enabled APIs in your project overview. To get the necessary access keys, click on: Credentials -> Create credentials -> API key -> Server key Complete the setup as described and note the server API key. So now we got the search engine ID and a server API key which we need to finish the configuration in Pimcore. Open the system settings in Pimcore and paste the API key into the marked field below and save. 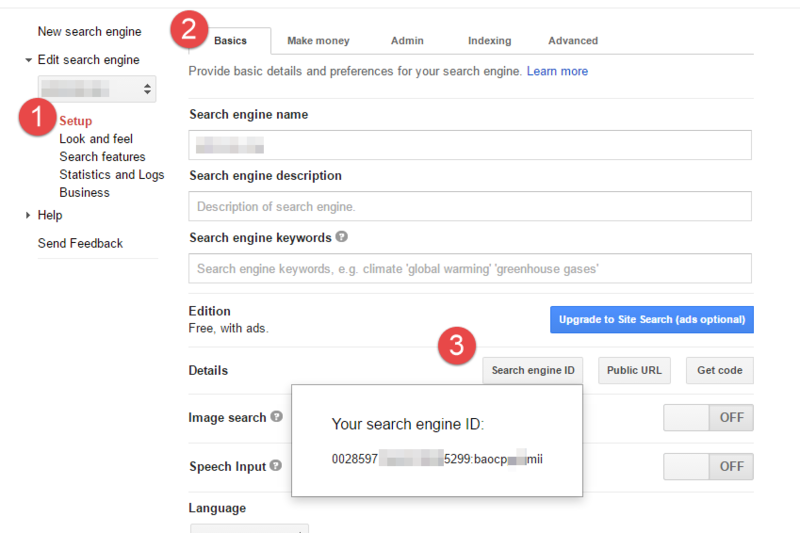 The search engine ID is used in your controller/action to configure the search service: \Pimcore\Google\Cse::search(). The place of interest (parameter cx) is marked with a comment in the code example below.